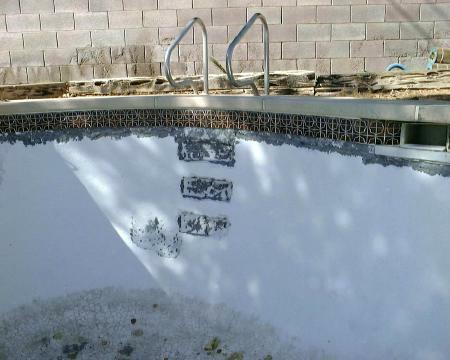 We removed the deck around a leaking skimmer and got quite a surprise. 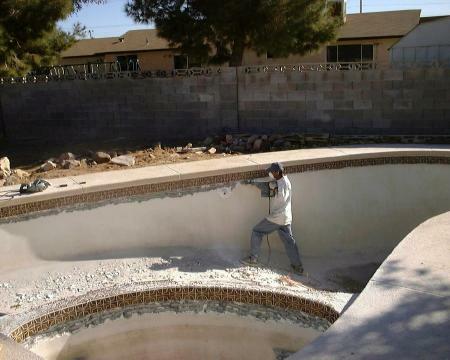 There was a great big cavern going down the side of the pool under the skimmer. 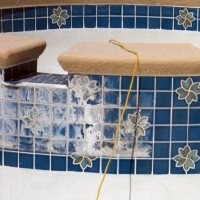 The skimmer had been leaking for a Long time. 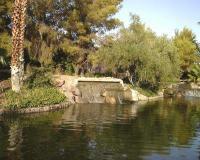 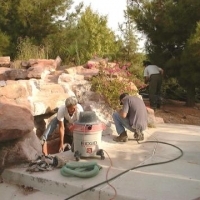 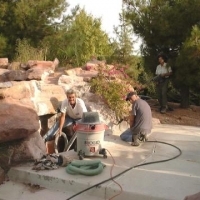 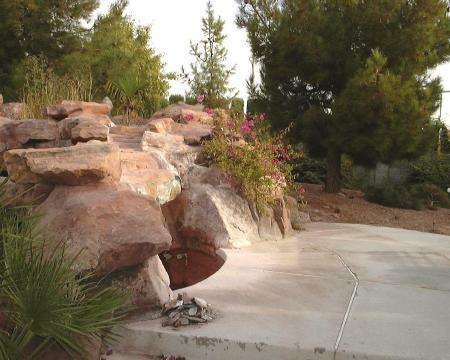 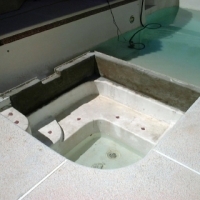 The next steps are: Assess the damage - Fill the void - Install a new skimmer - Put the deck back together. 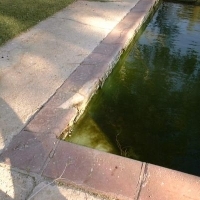 This Dam Wall was originally made of Glass Blocks, The wall failed. 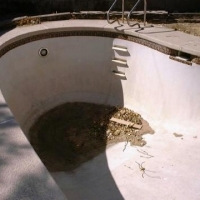 It cracked and leaked and was unsafe. 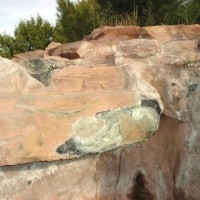 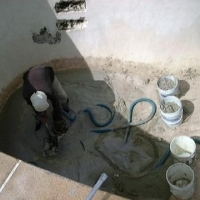 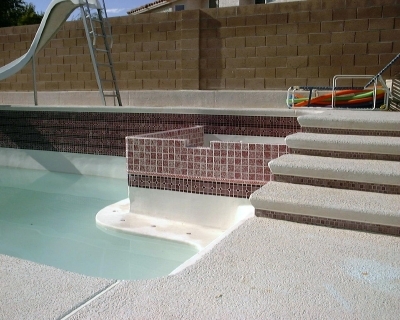 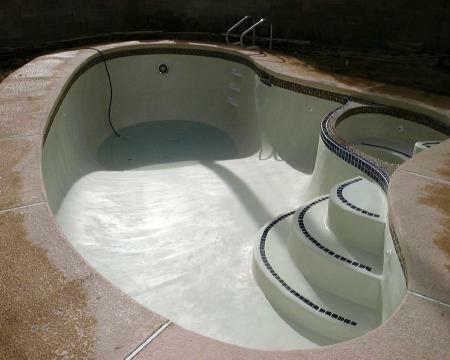 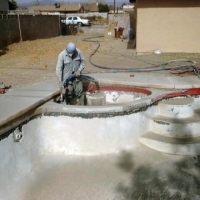 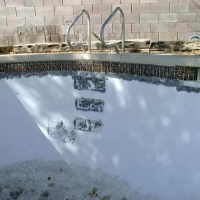 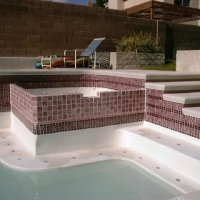 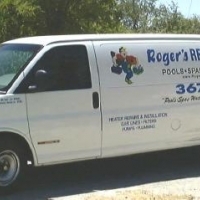 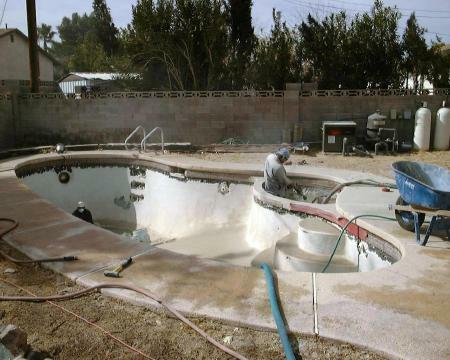 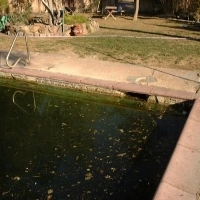 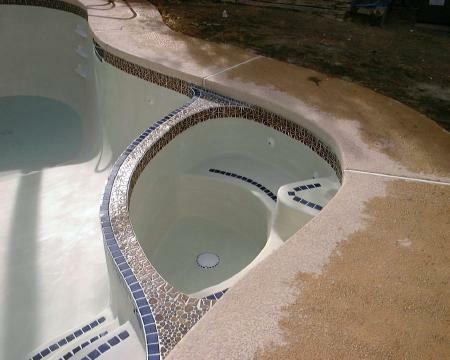 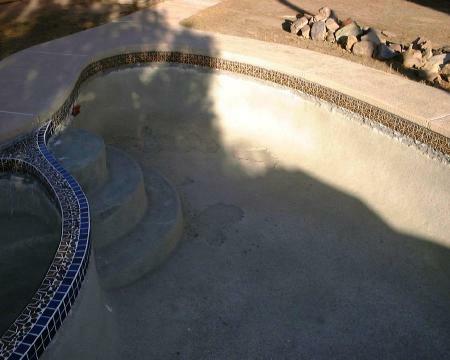 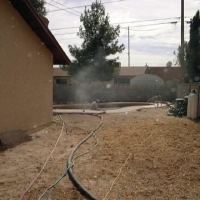 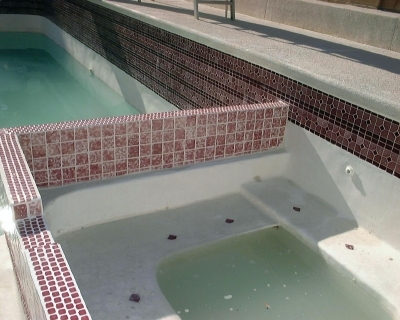 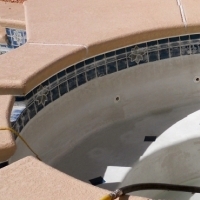 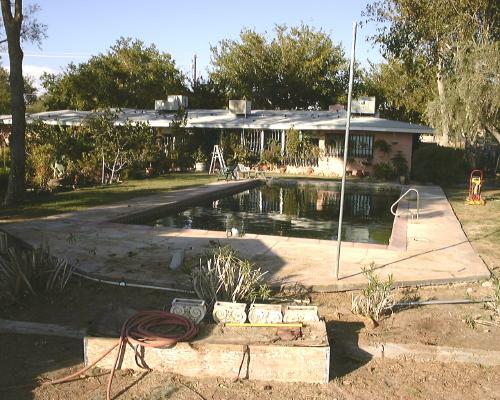 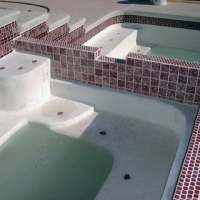 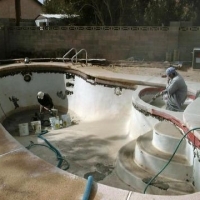 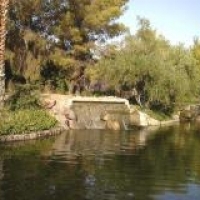 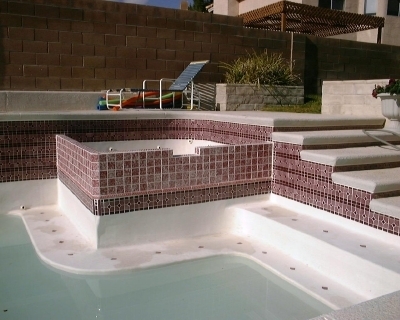 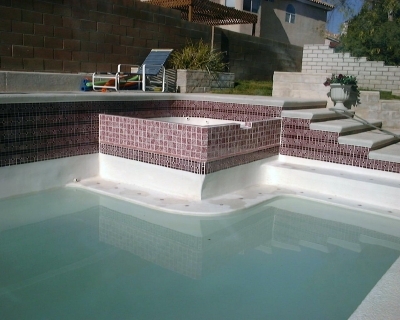 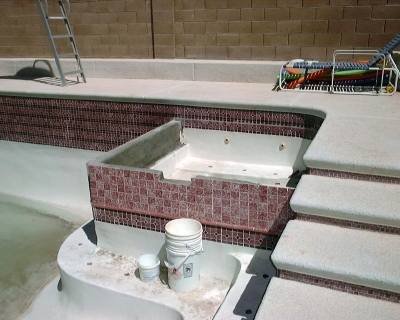 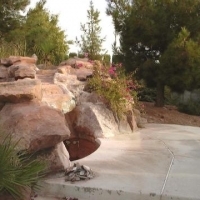 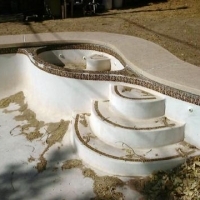 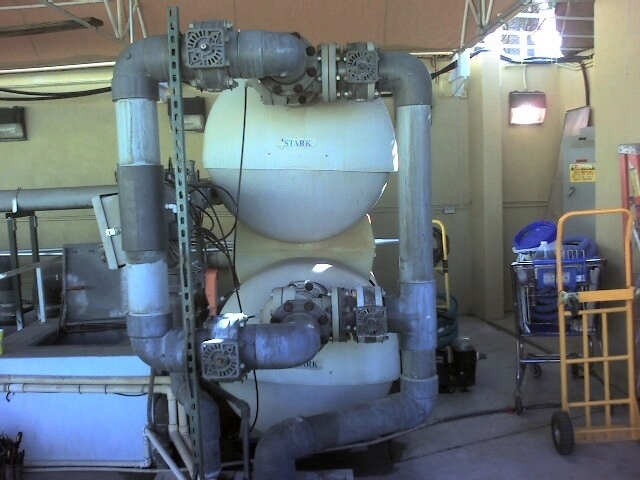 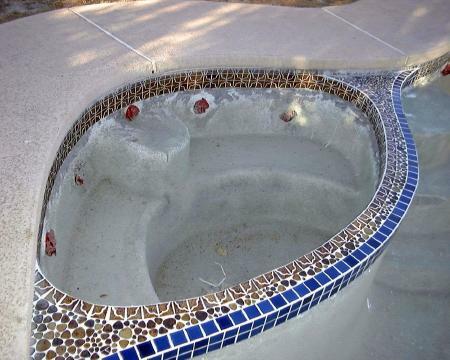 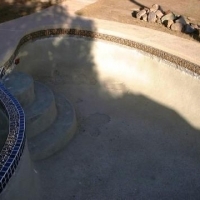 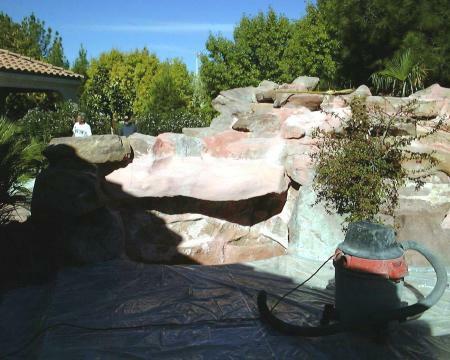 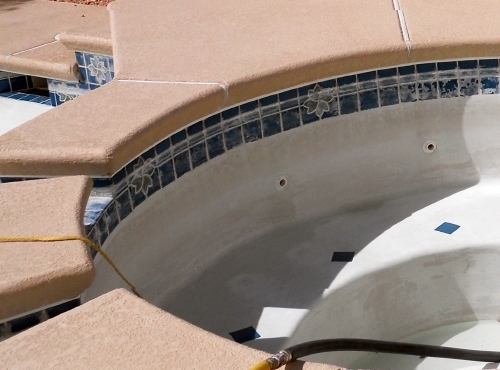 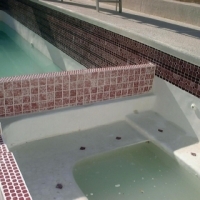 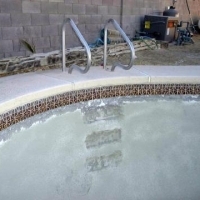 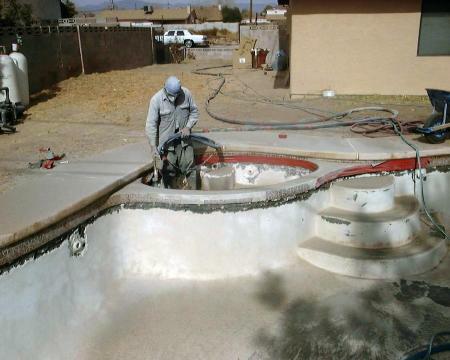 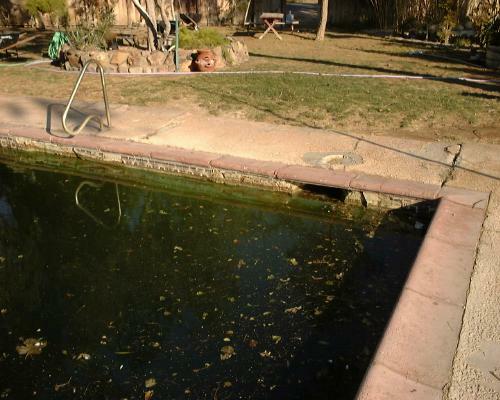 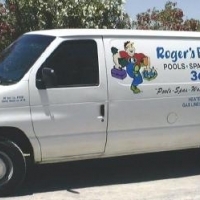 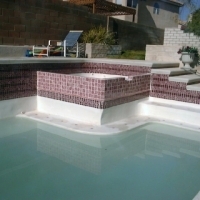 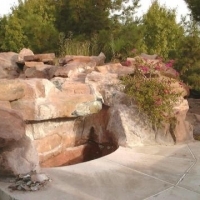 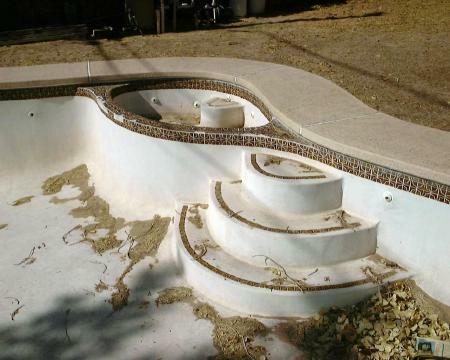 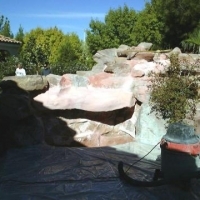 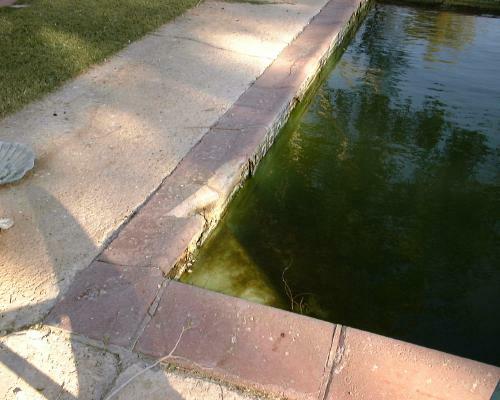 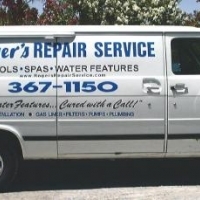 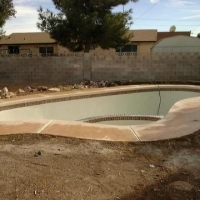 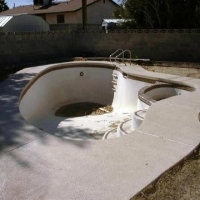 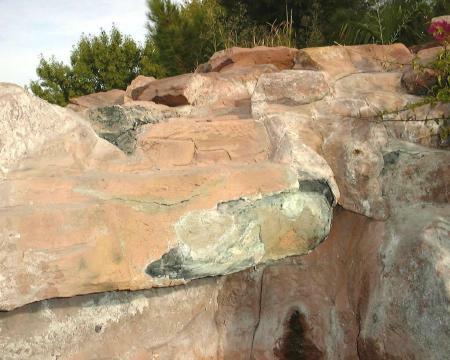 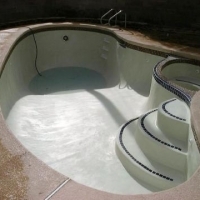 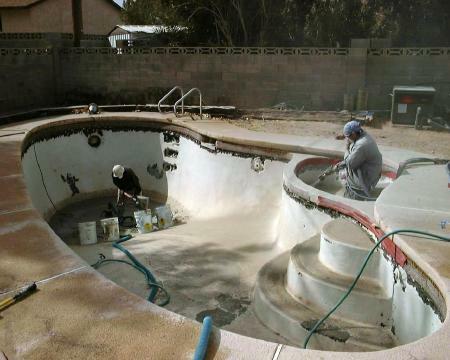 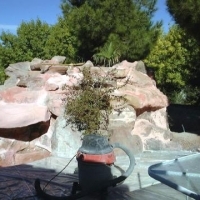 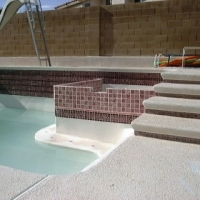 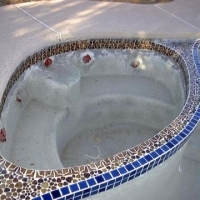 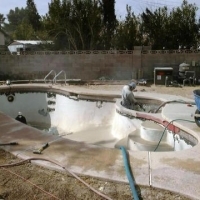 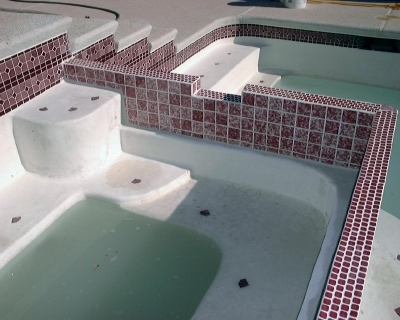 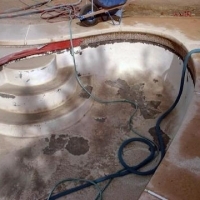 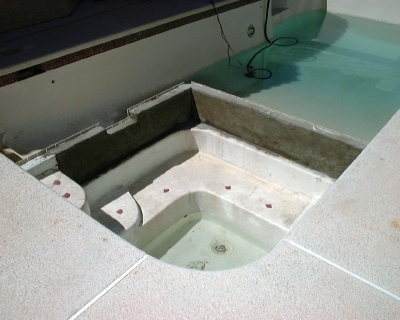 This is the story of a pool redo where the plaster had been coated with an epoxy/fiberglass type of coating that had failed. 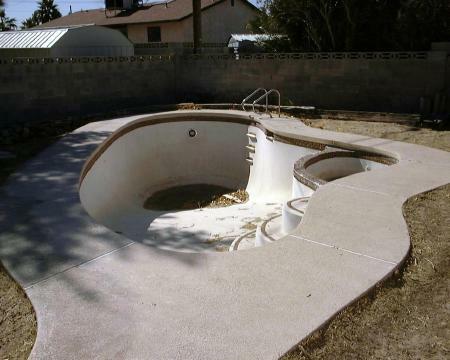 The coating was delaminated, had blisters and voids. 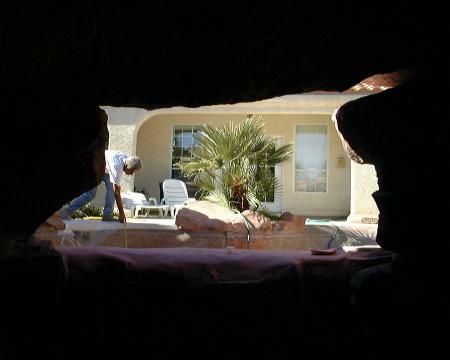 When exposed, it pealed off in sheets. 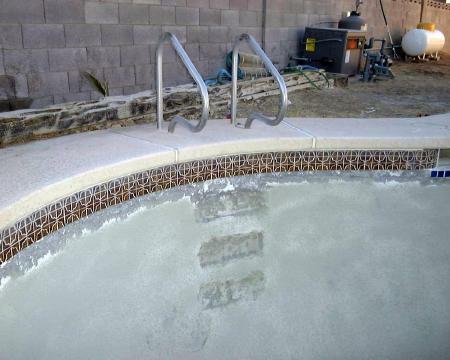 The tiles and light fixture were replaced at the same time. 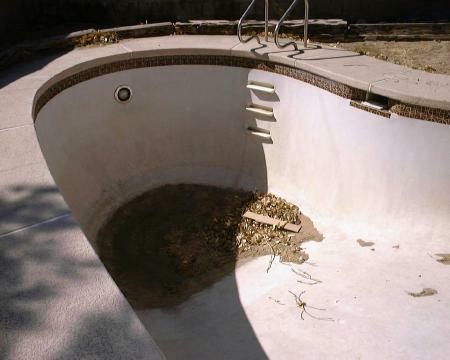 This is a tour of a Pool & Spa that have been out of use for a few years. 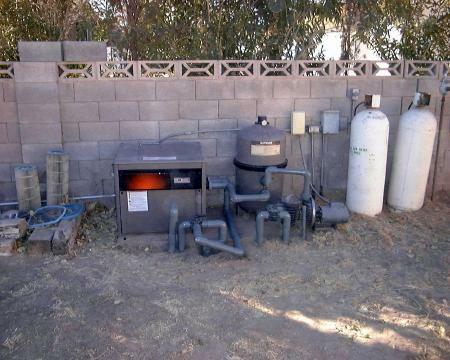 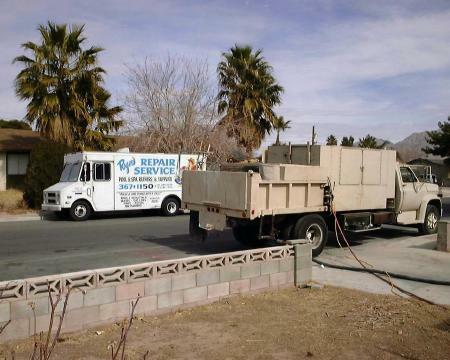 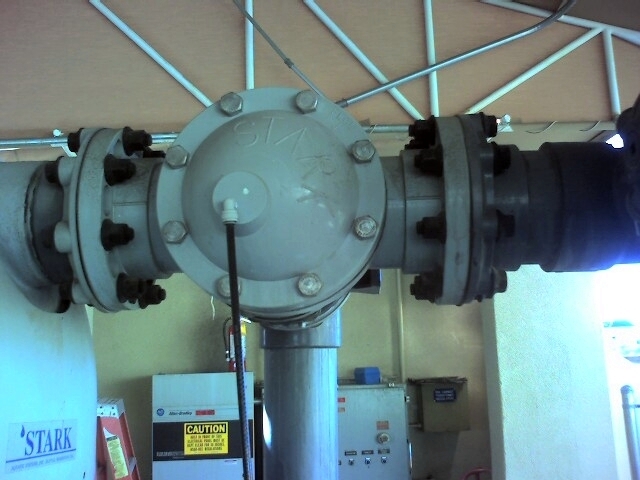 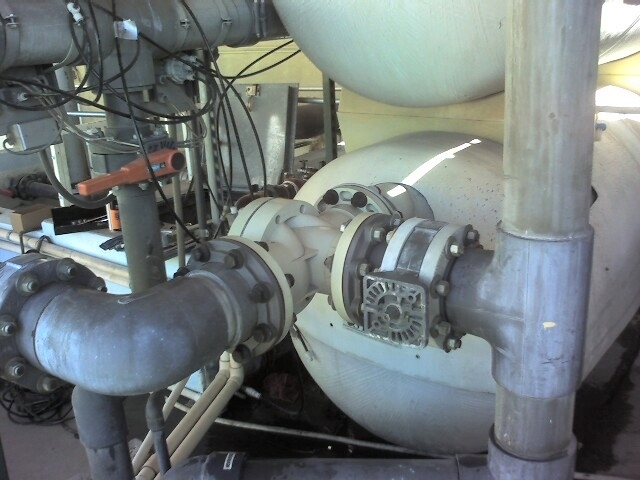 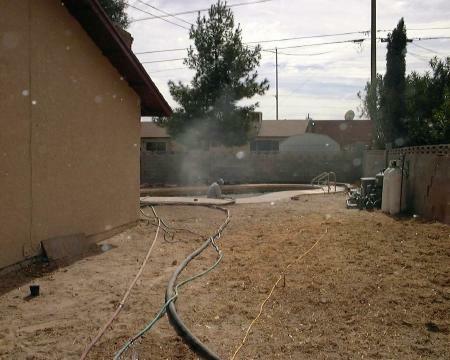 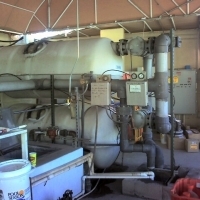 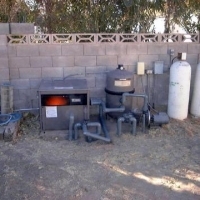 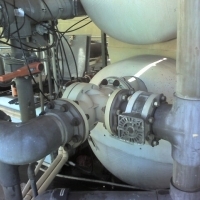 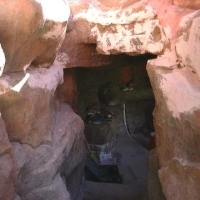 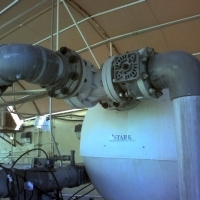 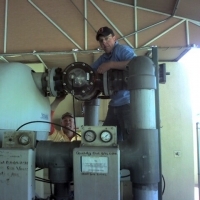 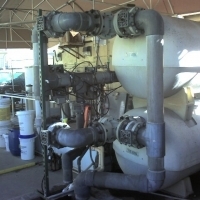 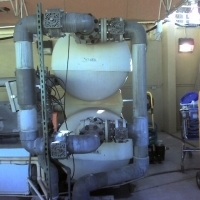 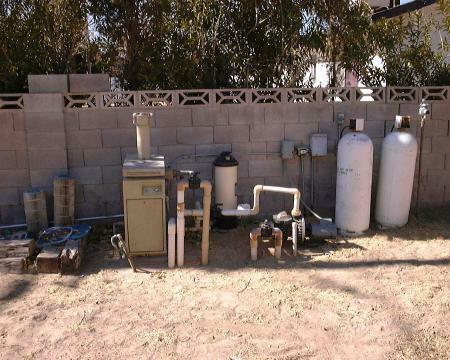 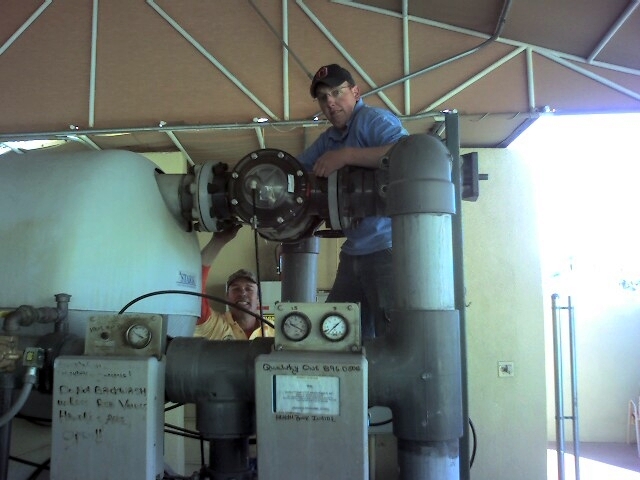 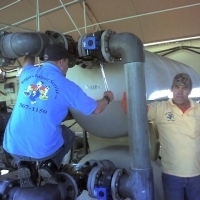 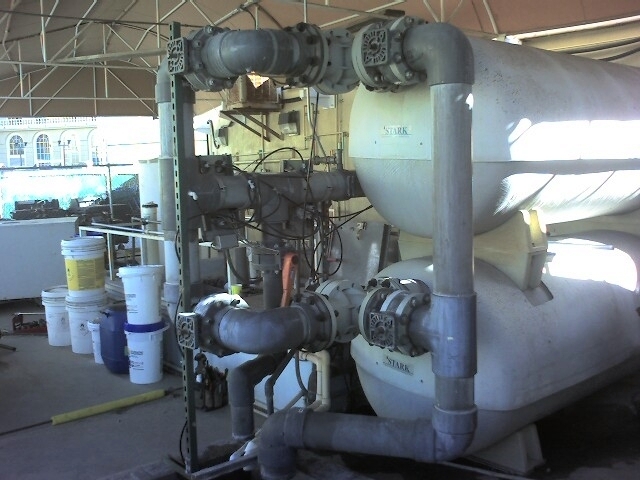 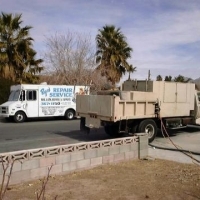 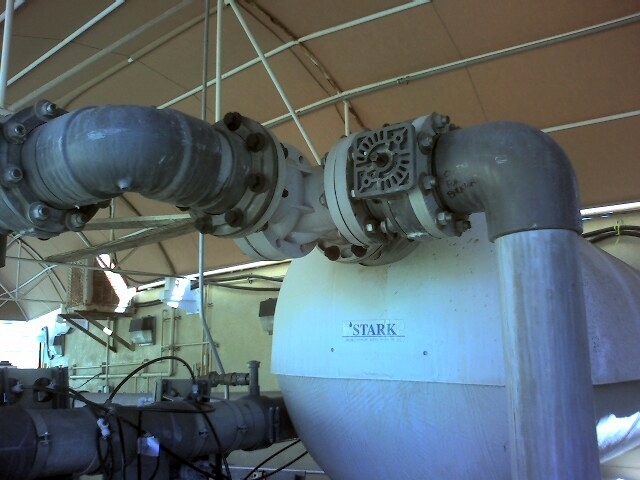 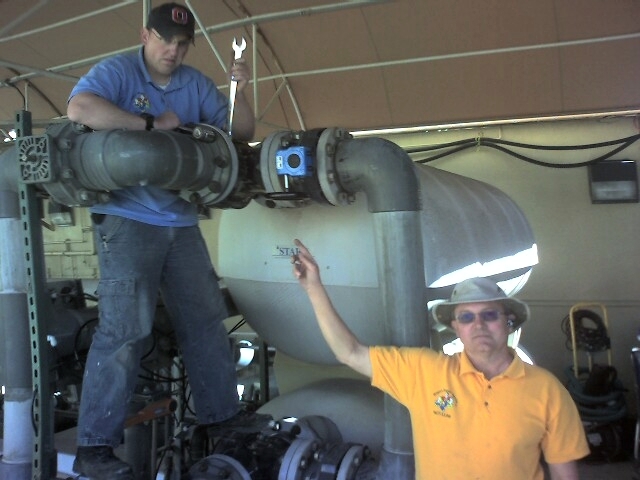 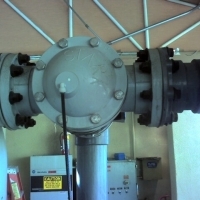 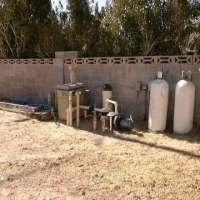 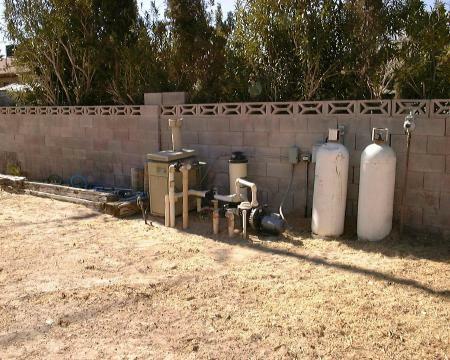 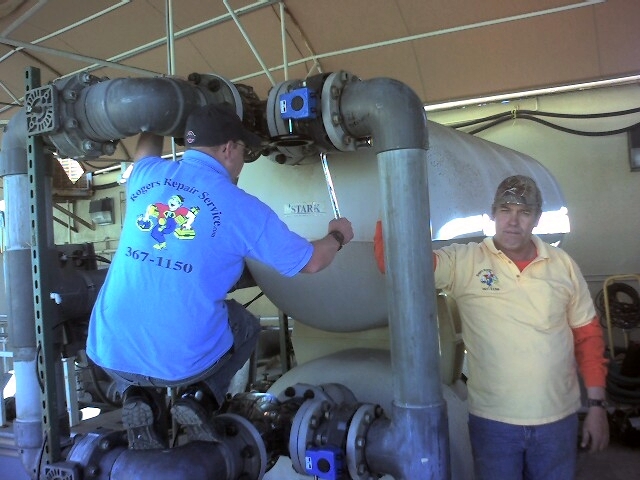 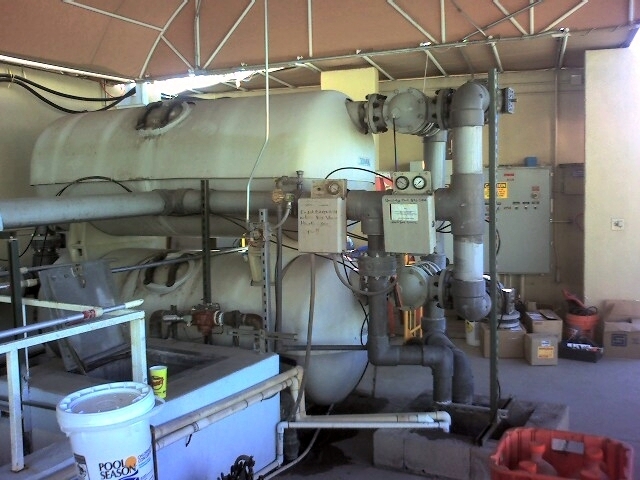 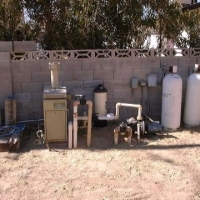 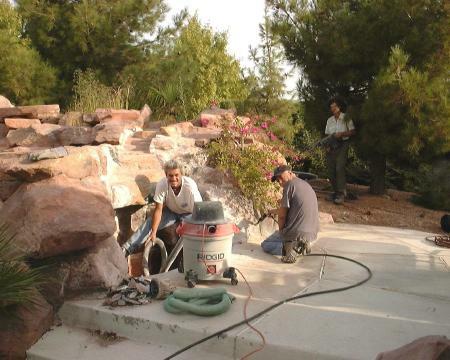 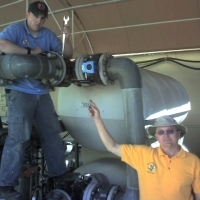 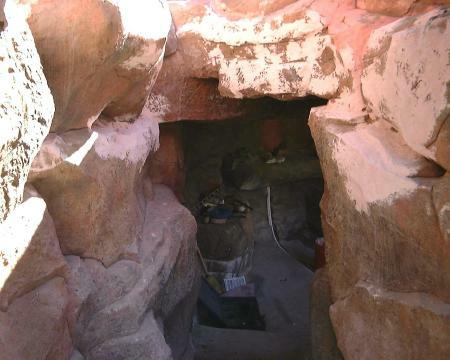 Old Pump, Filter, Propane Heater, and All above ground Piping are being replaced. 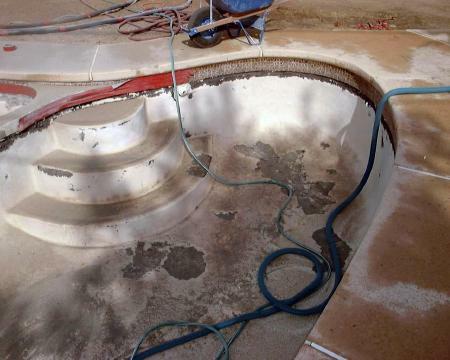 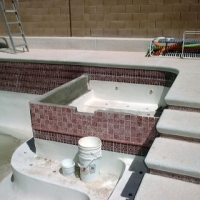 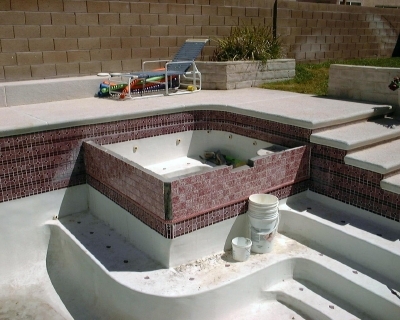 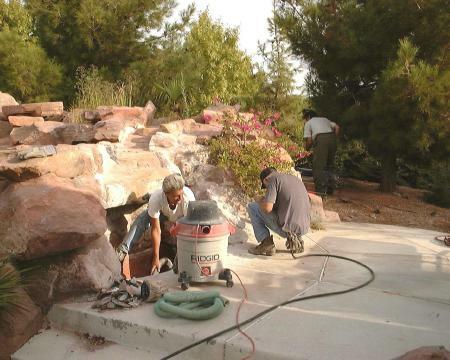 Repairs to the existing Pool & Spa tile. 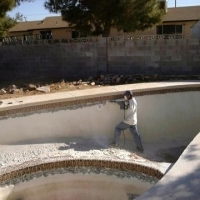 Preparation for re-plaster (note: there are many methods of re-plastering a pool, each situation has different requirements) Bond coat for new plaster. 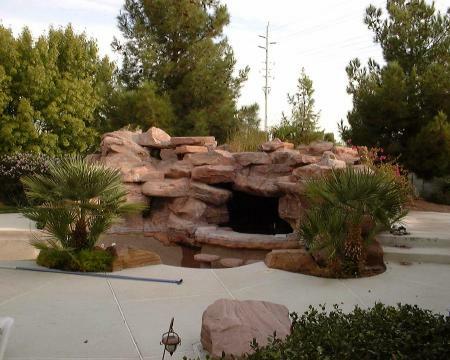 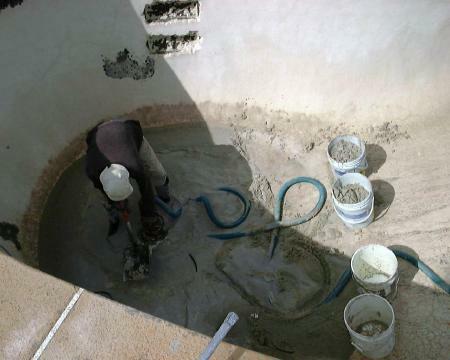 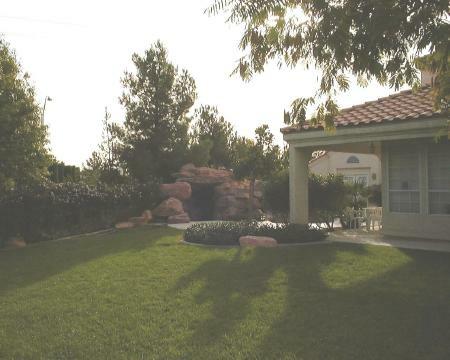 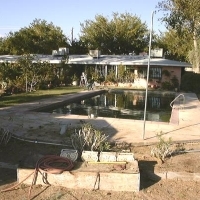 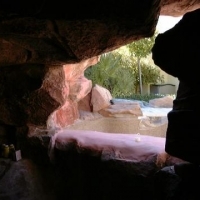 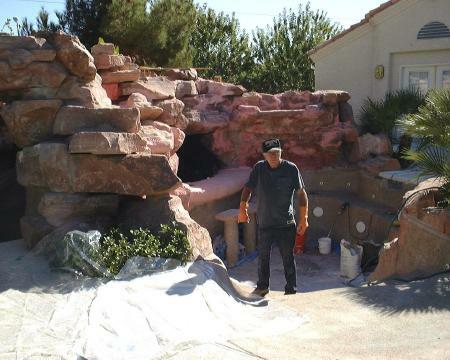 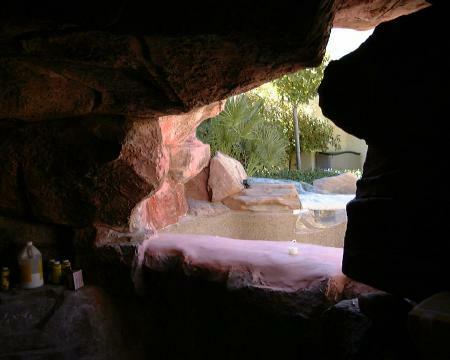 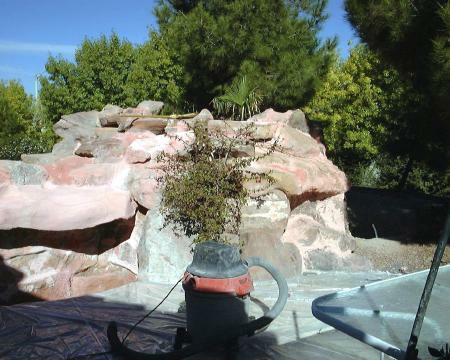 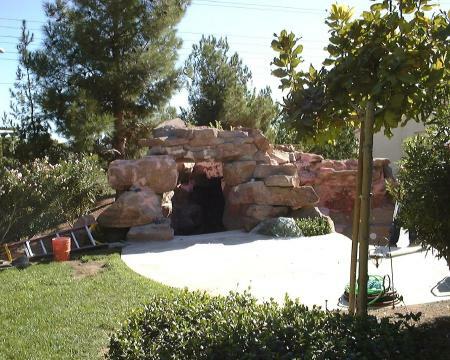 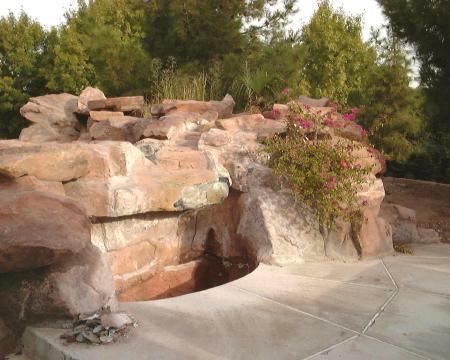 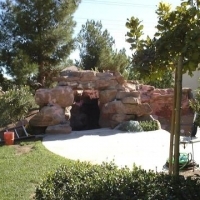 Finish plaster, pool filling and start up. 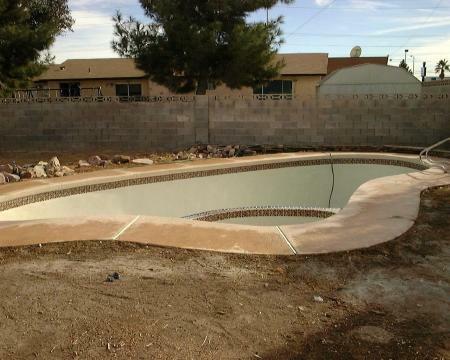 Phase 2 = upgrade and add to the decks. 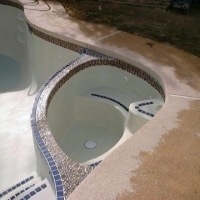 Very Nice! 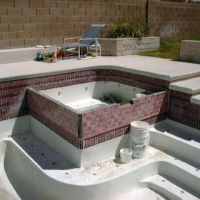 “Usually” the tile will withstand one or two of these processes before the glaze is removed from the tile and the tile must be replaced. 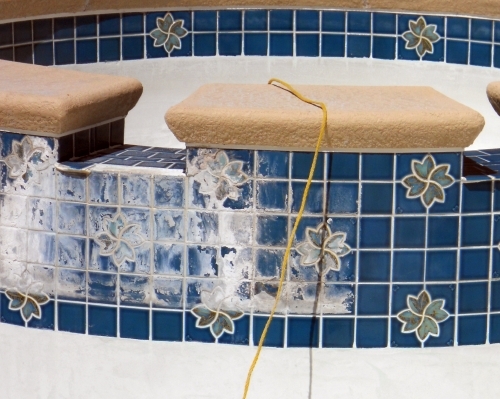 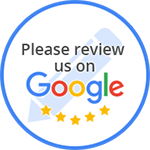 The tile’s age, quality, glaze thickness, exposure, and other factors determine whether cleaning or tile replacement is the appropriate solution.